Having spent the week eating a fantastically low carb and healthy diet, primarily focussing on high protein intake and leafy veg, I can start to see some shifting in weight. Of course it’s only minimal, as you would expect after only 1 week, but a near 2lb loss is about as impressive a step as I would want to take at the moment. Experience has taught me that hi carb diets don’t work for me, and I’m sure I’ll do a blog post on it at some point, but I’m very much a subscriber to the idea that we really don’t need anywhere near as many carbs as the typical modern western diet gives, even as endurance athletes. So with this in mind, it is with large dose of McCarkiss logic, that I have a Massimo (i.e. 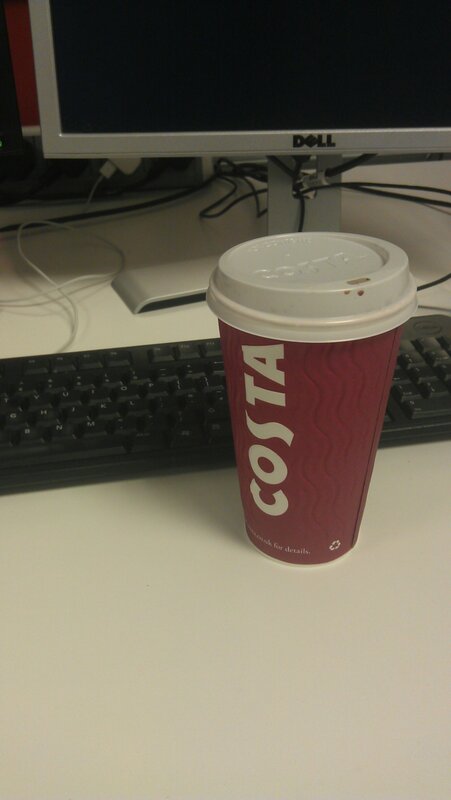 bloody big) hot chocolate to see me through the afternoon. Full of sugar, zero performance enhancing caffeine, yet somehow guaranteed to improve my performance at tomorrow’s Midland 6 stage road relays! September 20, 2013 in Food, General Garbage.